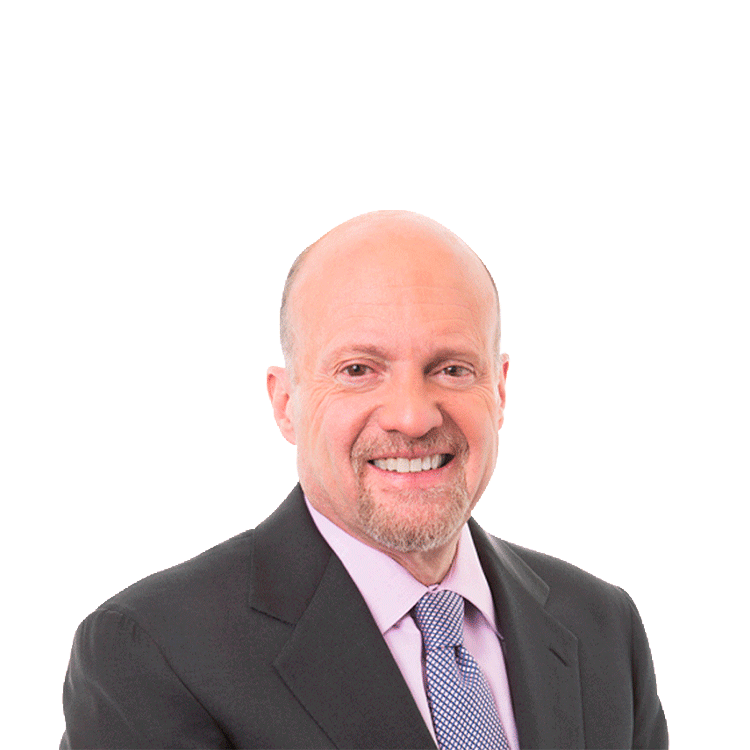 This is the final of a two-part series in which Jim Cramer comments on each of the 30 Dow components. Read the first part of Cramer's column on Dow components. Goldman Sachs (GS - Get Report) : Here's a tough one because while it is widely perceived to be among the best advisors on Earth, it has to play with one hand tied behind its back because of tough new federal rules that discourage risk-taking. Given that Goldman may have been the best calculated-risk taker imaginable, that means it has to resort more to transactional quantity, and there's simply not enough of that to go around. That said, if you closed Goldman and, to quote our president, counted the Tubmans, there would be more than what the stock is selling for because it's slightly below its book value, which is net cash on hand. May I say for a moment, that's ridiculously cheap? But in this negative environment, that comments merits a "So what?" Home Depot (HD - Get Report) reports Tuesday. Time to reserve judgment, although I have historically liked the stock very much. Remember, planting season is upon us and that's Home Depot's Christmas. It's more a play on household formation and investing in the home. Therefore, I like it here. IBM (IBM - Get Report) : Here's a company that's reinventing itself quickly, moving much more aggressively into the cloud than legacy. I saw that Warren Buffett just bought more. Good for him, but that's not a reason for you to buy. I think a small position is warranted right before the quarter, but there's no news flow now. I just think the bad old days of this transition are behind them and it has little price risk to it. Intel (INTC - Get Report) : Tough one, right in the crosshairs of what's not working, which is anything related to personal computers. It had a bad miss and it is time for the semi giant to split into a legacy company with great margins and an exciting, forward-thinking company that dominates the Internet of Things. It's 3.4% yield offers some protection but not enough, unlike Cisco (CSCO - Get Report) , to prevent a 10% decline if it does nothing to alleviate its PC dependence. Johnson & Johnson (JNJ - Get Report) : The drug company delivered the best growth of any major pharmaceutical. It has the best balance sheet in the world and phenomenal management. I think money managers are praying it comes in to buy some. You should act if it does. JPMorgan (JPM - Get Report) reported the best numbers of any bank but it needs rate hikes to advance and the whole thesis of this moment is that nothing -- not the U.S. economy, not the global economy -- is strong enough to handle another rate hike, let alone the two or three hikes people say it needs. I think it is a false premise: We get that many rate hikes, we freeze the credit markets and business. So be careful what you wish for. McDonald's (MCD - Get Report) : People want to sell this one in the worst way to lock in some gains. My experience is the opposite. McDonald's is a value company becoming a growth company. Like JNJ, you have to hope it comes in but I don't think it will. CEO Steve Easterbrook has cracked the code of the non-Amazon-able retailer company: fast, simple, direct, inexpensive and the all-day breakfast is an answer to the customer's prayers. Merck (MRK - Get Report) : What can I say? It missed the quarter. It's missed years of quarters. I have little good to say about it other than it should split up like Pfizer (PFE - Get Report) has with Zoetis (ZTS - Get Report) and go about creating some value. Microsoft (MSFT - Get Report) : It didn't grow cloud fast enough and its legacy business slowed, too. But its stock has been pummeled and it represents value and a call on the re-acceleration of the cloud. Don't give up on Microsoft yet, down 10% from the high, but your first buy may not be your only buy. Pfizer just overpaid for Anacor (ANAC , which has a decent dermatology franchise, but its drug competes directly with a new drug from Regeneron (REGN - Get Report) . I think Pfizer was nuts not to just buy Allergan (AGN - Get Report) outright after its stock price sold off so much that the tax consequences didn't even matter. This $5.2 billion acquisition does little for me. But the stock yields 3.6% and it isn't going to hurt you. Procter & Gamble (PG - Get Report) ? So Buffett lost faith with the consumer products giant that yields 3.2%. Not me, my charitable trust is buying it and we think a huge consumer of price-reduced commodities that makes proprietary products out of them and sells them for premium price suits me fine. You don't sell because Buffett sells. That's just silly. Travelers (TRV - Get Report) : I can't say I was fond of the quarter. However, I can say that in a deflationary environment, you want to own an insurance stock because you insure at a replacement price, but if the price goes down, the insurer is the winner. Travelers is the winner. United Health (UNH - Get Report) is a monster: It is the best-performing health maintenance organization in part because it has pulled out of many of the Affordable Care Act exchanges. It can do that because all of its competitors are seeking government help to merge: Aetna (AET with Humana (HUM - Get Report) and Anthem (ANTM - Get Report) with Cigna (CI - Get Report) . What a windfall. United Technologies (UTX - Get Report) : Well run, I like it, but below $100 it would be de-risked, even as CEO Greg Hayes is doing such a good job; it can be owned here if you want to. Verizon's (VZ - Get Report) come down to where it yields 4.4%, pretty darned good for what amounts to a growth stock, given its neutral hand in the cellphone wars. It is cutting costs, boosting margins and selling more handsets than ever with very low churn. Music to my ears. Visa (V - Get Report) did have a good quarter. My trust is itching to buy more because this is one of those companies with tremendous exposure to foreign currencies and on any rally the numbers will fly higher. It's not expensive but it's a winner. I like it right here and am telling subscribers that. All in all, when you look at all 30, you see something remarkable, one year after the market hit its high, most of these stocks seem poised to do almost nothing. Hence the jam we are in. There are more stocks to buy than sell, but nothing worth pounding the table on. Which is befitting this moment where, to me, there's no strong case to own the market, but none to sell it either. Action Alerts PLUS, which Cramer co-manages as a charitable trust, is long CSCO, AGN, PG, AAPL and V.